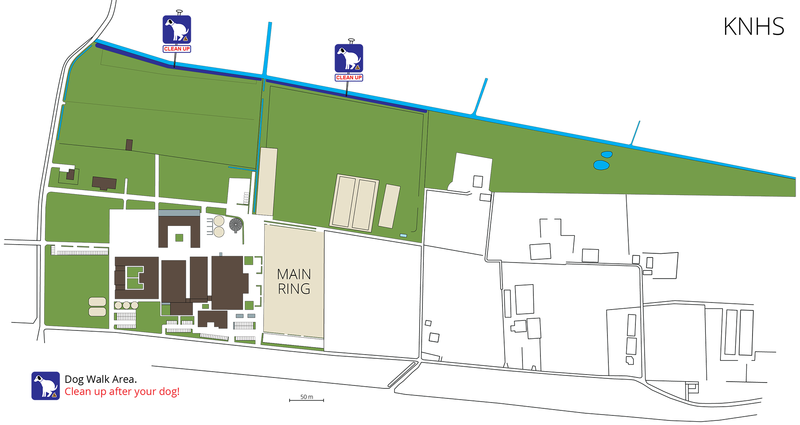 If you need to take your dog for a quick walk, you can use the areas indicated in dark blue near the top of the map (click on the image for a larger view). Please note that these areas carry a clean-up duty. You are required to clean-up after your dog on the entire premises of the KNHS! 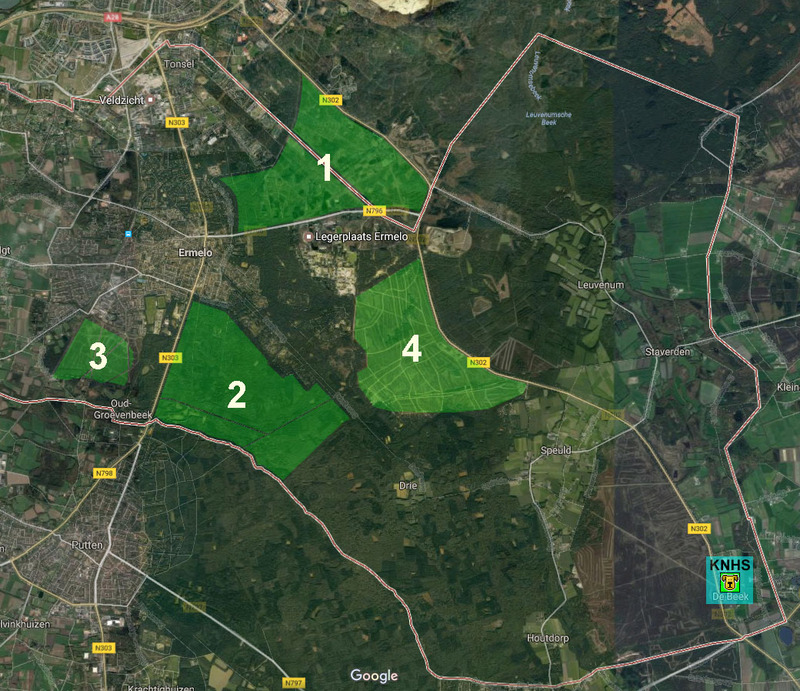 Ermelo has 4 large “off-leash areas” (“losloopgebied” in Dutch). In these areas your dog is allowed to walk off-leash. These off-leash areas are located in the forest and heather fields. Most dog walking areas are marked with signs that say “losloopgebied” = dogs off-leash area. Or “honden aangelijnd” which means keep your dog on a leash. Forest area between the Jacob Catslaan, Staringlaan and part of the Leuvenumseweg (this area is adjacent to hotel Golden Tulip/de Heerlickheijd). Forest area around the jogging course on the Ericalaan with exception of the children’s playground areas. (no dog allowed on those fields). Groevenbeekse Heide (Groevenbeekse Heather Fields). Ermelosche Heide, only before 8:00 and after 16:00 because of the local sheep flock and shepherd. Every dog owner is expected to have control over his dog at all times. Ermelo is located amidst the National Nature Area “De Veluwe” which means there is a lot of wild life like deer, wild boars, rabbits etc. 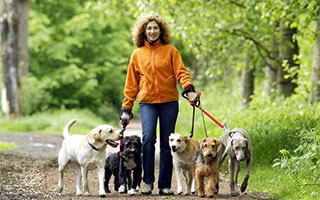 In Ermelo there are also dog walking routes/area’s that are designated for your dog to do ‘it’s business’. These are usually areas situated around bushes and are mechanically cleaned. The routes are spread out in the urban area and clearly marked with signs. Your dog must be on leash in the urban areas at all times. It is prohibited to be on playgrounds with your dogs.